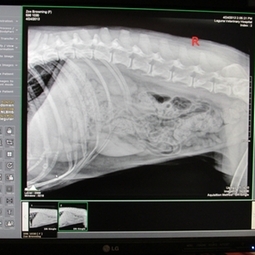 Our state-of-the-art digital x-ray machine allows us to produce an x-ray image of your pet in minutes. There is much more information available on these images than on the older film technology! We are also able to send you home with a cd copy of your images, which you can view with your PC.